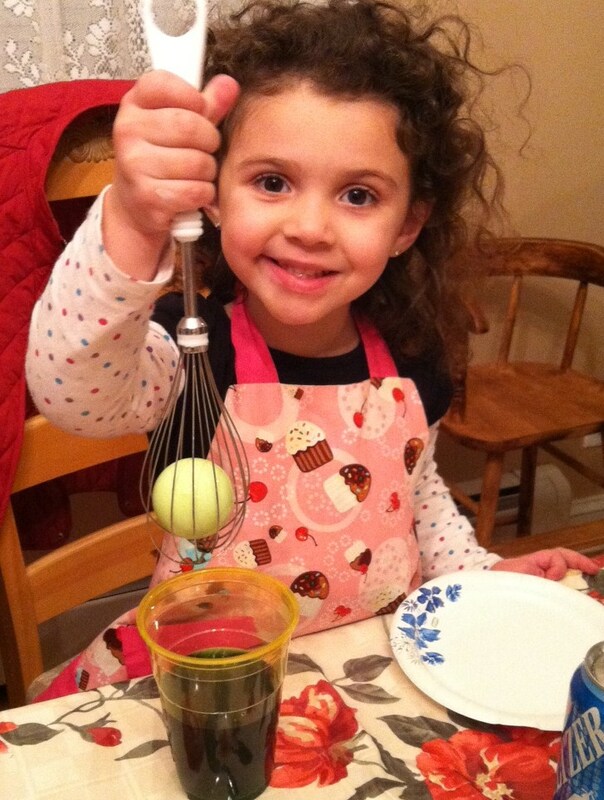 My sister and I added a MuSt HaVe gadget to our egg dying extravaganza this year…a WiRe WhiSk for each cup of egg dye. Working with 3 kids under the age of 5 is tricky enough, but when you factor in 8 cups of water and 18 hard-boiled eggs you have a potential disaster waiting to happen. 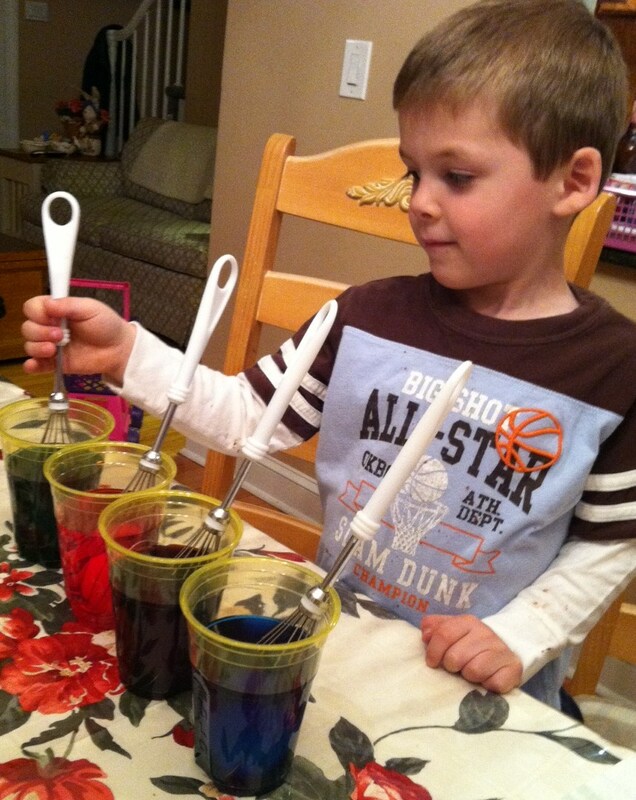 This year I purchased 8 wire whisks at my local dollar store and we let the kids use them to dunk their eggs into the egg dye and take them back out (over and over again) to check their colors until they had them just the way they wanted them. I am happy to report that even my 2-year-old was able to get her eggs in and out of the whisk easily and we didn’t break a single egg! 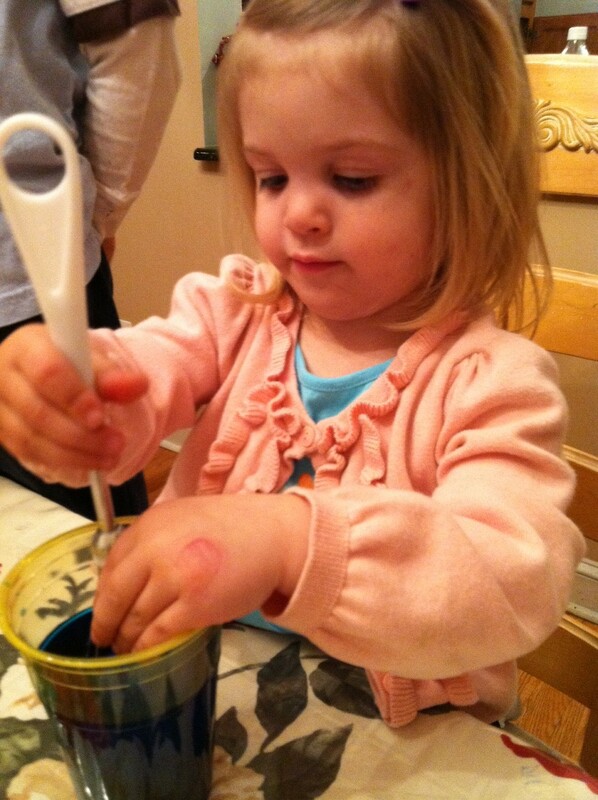 My niece Taylor using a wire whisk to dye her Easter egg! My son Nicholas dying 4 eggs at once! Even Abby can do it! Brilliant idea! 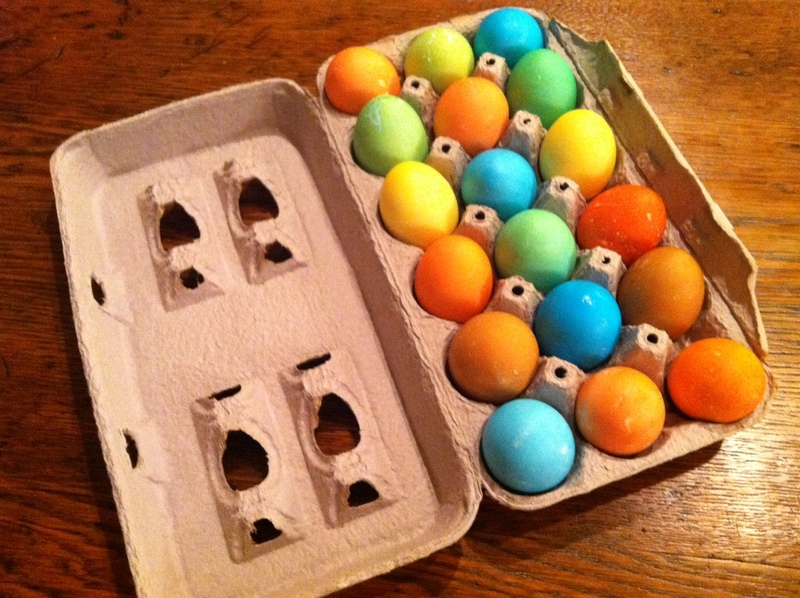 I will have to remember this when my daughter is old enough to dye eggs!